If you have been able to obtain information about a serious scandal, mainly concerning Europe and America, you may have heard about the Bilderberg Group. 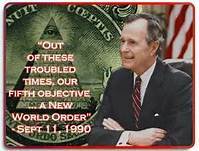 Watching History Channel documentaries and other YouTube documentary programs, you may have watched investigations concerning various elite and/or secretive groups: Freemasons and Illuminati are two examples. What is it all about? I will begin with the history of globalism, in the modern-era context and begin with the Illuminati, made famous via Dan Brown’s novel and subsequent film, The DaVinci Code.